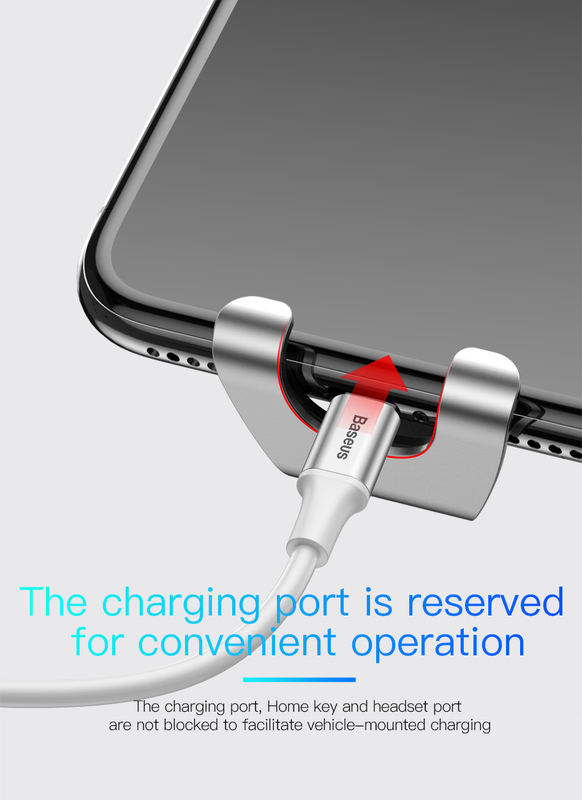 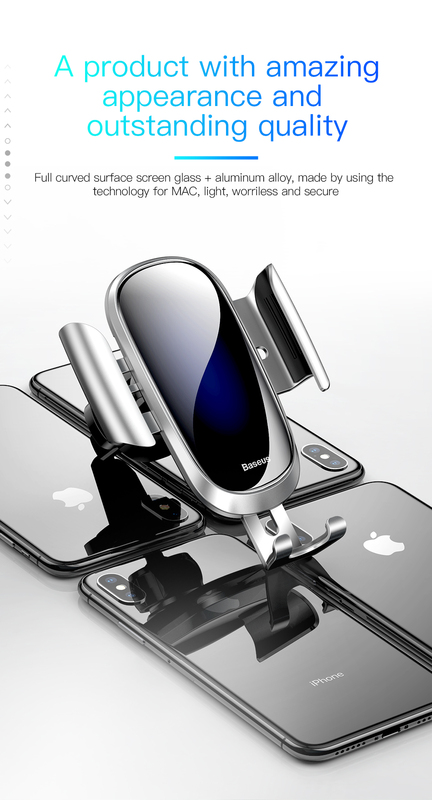 The Elegant Gravity Auto-lock Car mount from BASEUS automatically attaches to your device and locks it steadily in place. 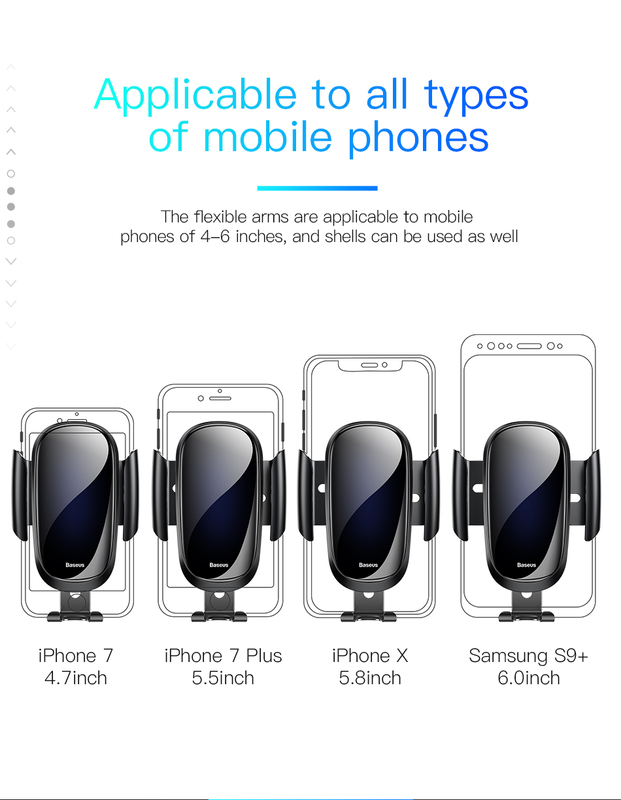 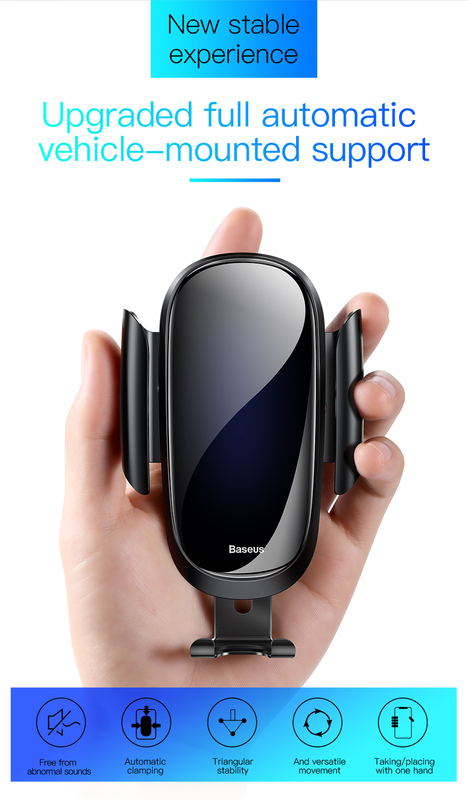 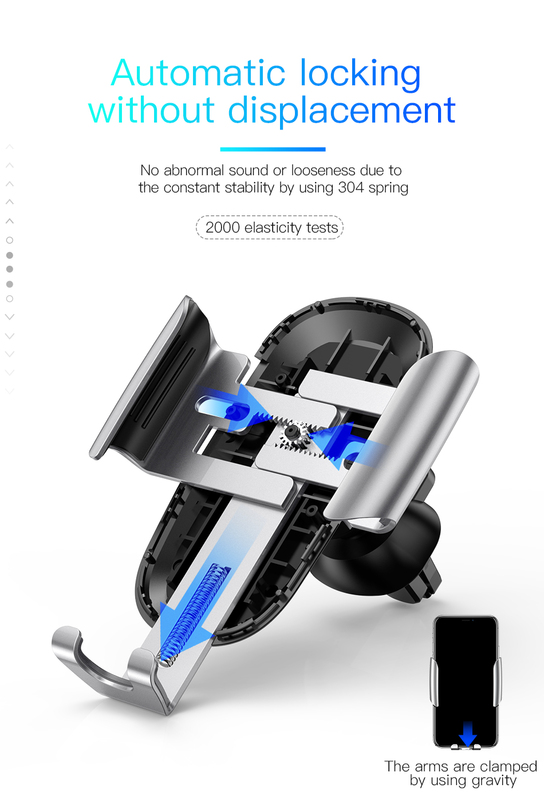 You don't have to do anything further from placing your mobile device upon this car mount, and watch as the triangular gravity technology unites your phone with the car mount. 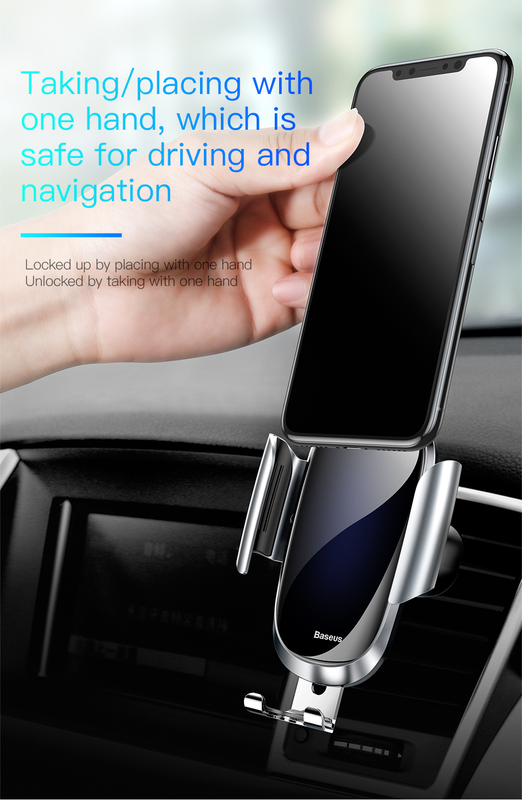 Aside from being functional and safe, this Car mount is extremely elegant and fashionable. 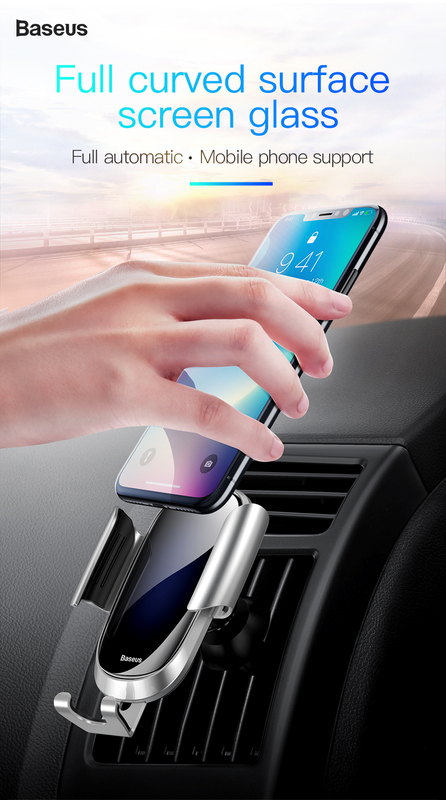 Available in 3 colors, this car mount's neat design is sure to beautifully and smoothly blend in with your car interior. 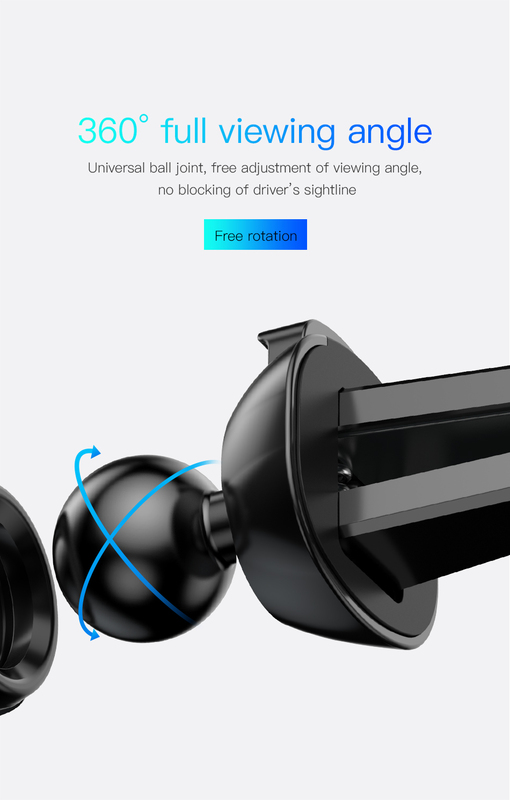 AUTO-LOCK: Uses gravity to automatically lock your phone, so you don't have to waste time adjusting the mount to the proper proportions.